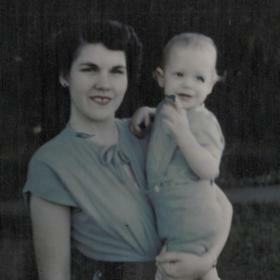 By way of example, Marjorie Seppala lived her life devoted to those entrusted to her care. 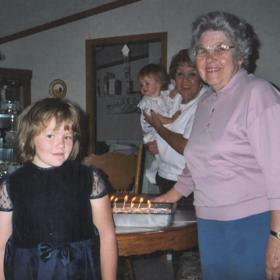 Whether her own children, grandchildren or the many who came her way through the years, Marjorie encouraged each and every one to work hard, do their best, and to never give up. A kindhearted woman with faith as her guide, Marjorie served her church and all her endeavors wholeheartedly. A true blessing in the lives she touched with ways all her own, gone yet never to be forgotten are the wonderful memories Marjorie leaves behind. Born on September 21, 1925 in the small, rural community of Stanberry, Missouri, Marjorie was the daughter of Cleo and Hazel (Wallace) Gregg. One of two children in her family, Marjorie grew up alongside her older sister, Mary Louise. As happened to many of her generation, her parents lost their family farm during the Great Depression. But Cleo was a hard working and determined man. He combined a job of clerk in the county court with working rented farmland to rebuild their life and was able to send the girls to college. Education was highly valued in Marjorie's family. Her mother, her mother's two sisters and her uncle were all college graduates. A good student, Marjorie made it a point to include her studies as a priority in her life. 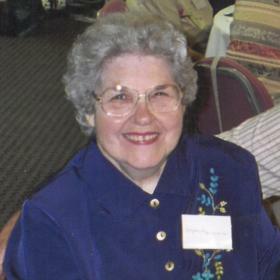 After graduating from Maryville High School with the Class of 1943, Marjorie went on to attend NW Missouri Teacher’s College where she received her Degree in Education in 1946. Although World War II created a sense of uneasiness for all, Marjorie once remarked, with a twinkle in her eye, that she quite enjoyed the contingent of sailors stationed at the college. Marjorie's life long love for travel may have begun when she and her sister, as young girls, traveled with their aunt to New York City to visit another aunt and uncle. That adventuresome spirit led her to apply for her first teaching job in the lakeshore community of Muskegon Michigan – located in a state where she knew no one and never even visited. She said she chose Michigan because her college counselor told her that her bad allergies would not bother her there. As fate would have it, Marjorie came to know and love the young man with whom she would spend the greater part of her life with. On a blind date, she was introduced to Clifford Seppala who recently returned home from the war. They courted for a time and after falling deeply in love, they were happily married on December 21, 1947 in Maryville, Missouri. Only the beginning, their lives together would eventually come to span 67 wonderful years. The newlyweds bought a home in Muskegon Heights and soon began a family of their own.  Since Cliff was a war Veteran, Marjorie encouraged him to use his GI Bill benefits and become a schoolteacher. After receiving his degree he took a job teaching at Lawton High School and in 1957 they moved to Lawton and built a house where they raised their sons, Gregg, John and Tim. Marjorie was very involved in the lives of her boys and together she and Cliff stressed the importance of a good education. She made a good home for Cliff and their sons and although small in stature, she was never afraid to dole out proper punishment when needed. Marjorie encouraged her children in each of their endeavors. She served as a Cub Scout den mother and was faithful in bringing the boys to church with her and Cliff on Sundays. 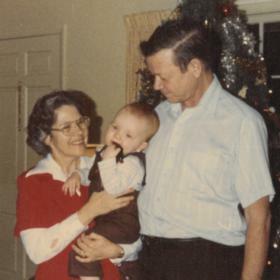 Marjorie was always referred to as “mother” and not “mom” by her boys. They were taught to have respect and honor and it spoke volumes for the way in which they were raised. A teacher at heart, Marjorie loved working with kids. She tended to prefer the lower grades over the older children, and teaching first grade was always her favorite. Over the years she had the opportunity to teach and touch the lives of many children in Muskegon, Kalamazoo and Lawton. Family remained the center of their lives. At Christmastime and during the Fourth of July they would drive back to Missouri for family gatherings. After she and Cliff retired from teaching, they travelled the world, going on tours to Alaska, the Caribbean, Europe, Great Britain, Russia and Scandinavia. When grandchildren came along, Marjorie and Cliff were truly in their element and they loved nothing more than spending time with them. They became the hosts and the keepers of many family traditions. They even bought a home in Florida to be near John’s family. For over 20 years, they loved making the trips from Michigan to Virginia to Florida to see all of their children and their families and it was often a highlight to do so. 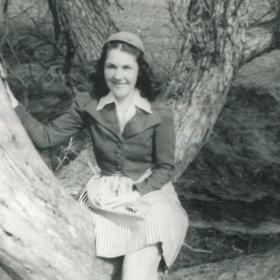 Marjorie was an active member of Lawton Baptist Church where she led the church youth choir. She was a very involved and proud 50-year member of DAR, the Daughters of the American Revolution. She also dabbled in photography. As the one who always took the pictures, she kept up on the latest in camera and video camera advancements. Over the years she literally took thousands of photos, movies and videos. She and Cliff loved playing bridge or Yahtzee with neighbors. Marjorie was always busy, in the fall she would put up canned fruits and vegetables, in winter she knitted sweaters and blankets and sewed counted cross-stitch pictures. And, when grandchildren were visiting she made the most awesome pancakes! Over the last ten years Marjorie’s health began to decline. She suffered a stroke and several other health issues. Right by her side, taking care of her always, was Marjorie’s beloved Cliff. When he passed away in January of 2015 it was a very difficult time for her. As her conditions worsened over the last two years, Marjorie was placed under the care of hospice, but like an old Missouri mule, she was very stubborn and just kept going. There was much to learn from a woman like Marjorie. She was no stranger to hard work, and she always did her best. No matter the obstacle, she never gave up, and she stressed the importance of seeing a project through to completion. Although Marjorie was firm in her beliefs, her lighter side shown bright in numerous ways. Larger than life when it came to storytelling and talking, she had a way all her own in these areas! Most importantly, family was at the very heart of Marjorie’s life. She never ceased in stressing the importance of family at every opportunity, and through her example, she served her family well. Although deeply missed, the memory of Marjorie lives on in the lives of those she loved and touched. Marjorie Seppala, age 92, of Lawton, died on Wednesday, November 22, 2017. Marjorie’s family includes three children: Gregg (Naomi) Seppala, John (Colleen) Seppala, and Tim (Lynne) Seppala; eight grandchildren: Michael, Daniel, Sara, Christie, Laura, Tiffany, Annilee and Alyse; two great-grandchildren: Joshua and Katie; many nieces and nephews. Marjorie was preceded in death by her husband, Clifford, her sister, Mary Louise Gregg, and her granddaughter, Sara. Visit with Marjorie’s family and friends on Friday from 4-7 pm at the Life Story Funeral Home, Betzler & Thompson-Paw Paw, 60900 M-40; 657-3870 where services will be held at 11 am on Saturday at the same location. Burial will take place later at Oakhill Cemetery, Clearmont, MO. Please visit www. 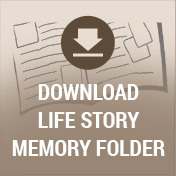 Betzlerfuneralhome.com where you can archive a favorite memory or photo and sign her online guestbook before coming to the funeral home. Memorial contributions may be made to the DAR.